Ryan Link was born in Los Angeles, California and grew up in a musical family. At the age of five he began playing a guitar his father brought back from Mexico and never looked back. He spent his childhood learning to play both string and woodwind instruments before falling in love with the bass in his early teens. After earning performance scholarships to attend Berklee, USC, and other top music schools, Ryan attended the prestigious University of Miami School of Music and eventually earned a degree in music performance from the University of Colorado. He studied with John Clayton, Don Coffman, Matt Bonelli, Wally Barnum, and Adolf Mares. His playing is heavily influenced by James Jamerson (Motown), Rocco Prestia (Tower of Power), Jaco Pastorius, Anthony Jackson, Lee Sklar, and Meshell Ndegeocello. Soon after college Ryan became immersed in the music scene home in L.A. Performances in venues all over the world like the House of Blues, the Gig, the Knitting Factory, the 2002 Winter Olympics, and the Theater du Champs Elysees kept him in demand. His resume includes work with Grammy winners Jeff Hamilton and Don Grusin, stand out solo artists and songwriters like Devon, Eric Hickenlooper, Jason Lugo, and Hiram Bullock, and session dates in the famed Record Plant, Westlake Audio, and numerous other rooms around the country. In 2004 Ryan moved to Boston to earn a Master in Architecture degree from Harvard University. 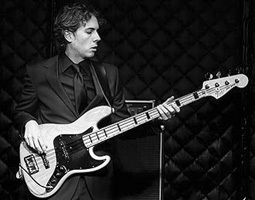 Now he is enjoying life in New England and playing bass for UV. Alon Mei-Tal was born in Israel, but moved around until ending up in Cincinnati, OH at the age of 6. His musical development began around the age of 9 when he picked up a guitar for the first time and began taking lessons at a local music store. Throughout elementary and high school he would continue his musical education on guitar and also orchestral percussion. He utilized both in his high school jazz band, orchestra, and wind ensembles. 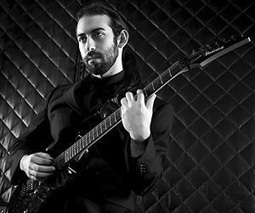 Upon graduation, Alon relocated to Boston to attend the Berklee College of Music. He has been involved in several bands while in college, some in Boston and some in Ohio. He continues his music development in the UV band is looking forward to seeing where this new project will take him. 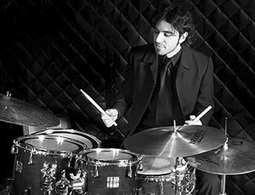 From Santeramo in Colle (BA - Italy), he started his musical studies on drums at the age of six. He continued at the Conservatory "N. Piccinni "of Bari, with the teacher Beniamino Forestiere, who later dedicated a composition for solo marimba to Giuseppe Paradiso. He studied at the same time contemporary composition at the conservatory in Bari, with the composer Gianni Nazzareno Francia; in 2007 he graduated in percussion instruments at the same conservatory, with full honors. in the same year he achieved the Inferior Composition Certificate (Compimento Inferiore) from the Experimental Composition School. Besides his classical training at the conservatory, he started to approach the jazz and modern music; studying drums and attending a lot of master classes and clinics held by internationally known musicians. He attended “Siena Jazz” Summer Workshop, studying drums with Ettore Fioravanti, Massimo Manzi and Riccardo Zegna. In 2007, he attended "Berklee Summer School at Umbria Jazz" clinics where he received a Berklee Scholarship for a full-time program of four years at the BERKLEE COLLEGE OF MUSIC in Boston. 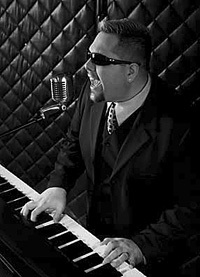 Since the 2008 Giuseppe has been an active member of the Berklee community - involved in many Berklee performances and projects. He has also been performing in and around the Boston area, and in Italy. Finally, he has been teaching music and drums in Italy for various projects promoted by the voluntary association “Linea Azzurra” for children and teenagers with disabilities and social needs.